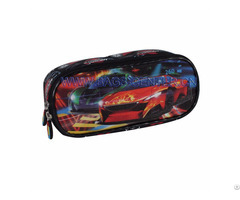 Rocking car collection pencil case. 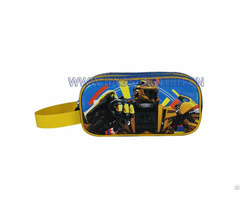 This pencil case is very suitable for kids who love drawing, wide-set compartments, big capacity. 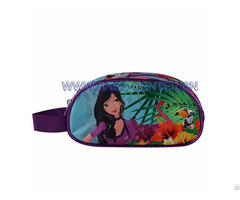 Keywords: Back to School Pencil Cases, 22*15*4 cm, Wide-set Compartments, Perfectly Size, Zipper Closure. Name: Back to School Pencil Cases. Material: Twill fabric with leather. Size: 22*15*4 cm, or as customized. Type: Car print, many designs available. Design: OEM and ODM are welcome. Business Description: Center Bags & backpacks Company manufacture, export, wholesale all kind of kids bags, school bags, kids backpacks, cooler bags, travel bags, trolley bags, shoulder bags, swing bags, handbags, lunch bags, cosmetic bags, shoes bags, pencil bags, etc. 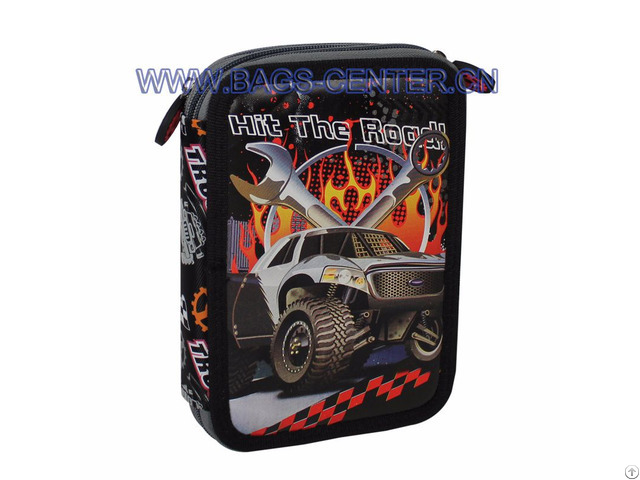 Since 1996, as one of the leading bags manufactures in China, the Center Bags Manufactory locates in the Industrial Zone in the east of Quanzhou, P. R. China.